In our church, someone volunteers for the year to bring the communion bread. I volunteered for 2015. Now, I am one of two gluten-free people who attend this church. They actually changed the communion bread to gluten free, so we don’t have to skip this part of the service. I volunteered to make the bread, as buying it is really expensive and quite bland. Granted, some of my attempts have not been up to my usual baking standards. However, I think I have finally found the winning recipe and the right flour mixture. I have switched to a new gluten-free flour mixture. 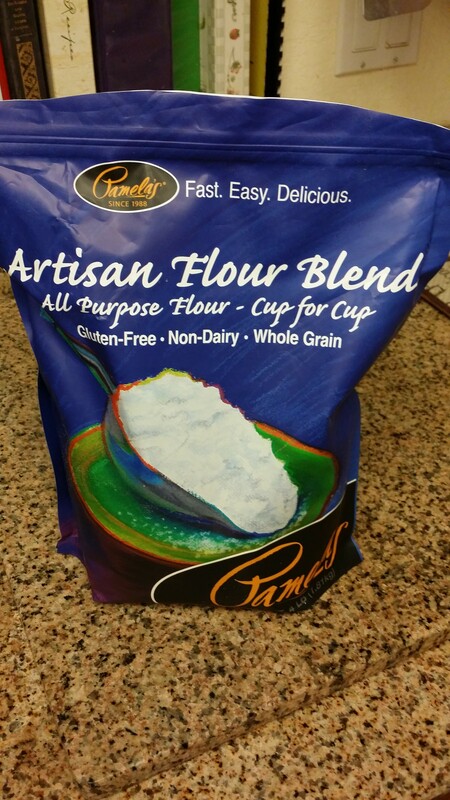 I have attempted, and had some success, making my own mixtures, I have tried several premade flour mixtures and I think I have found the one that works for me: Pamela’s Artisan Flour Blend. I have a really hard time buying mixes, even if it’s gluten-free. I like one flour mixture that I can use for multiple recipes. I made two loaves of white bread yesterday. One for me to sample before taking to church and another to take to church. I was so impressed by the results. The bread recipe I followed was spot on. The bread is moist, delicious and actually looks like a loaf of homemade bread. Follow the tip on a parchment collar. I had never used one before, but it helps immensely. I have also used this flour blend to make gluten-free pancakes. They are so good, you’d never tell they weren’t made with regular flour. The nice thing with Pamela’s flour is I can Google almost anything and add “using Pamela’s Artisan Flour” and I get a lot of recipes to choose from. 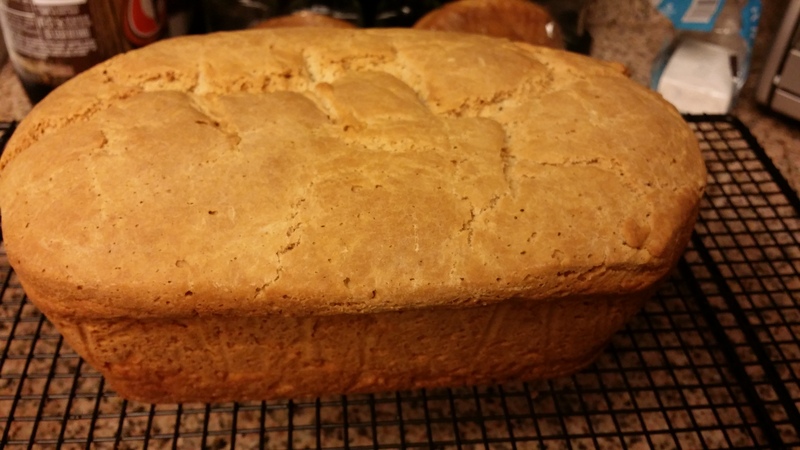 UPDATE (4/6/15): The bread was a success! Over a dozen people came up to me telling me how great it was.